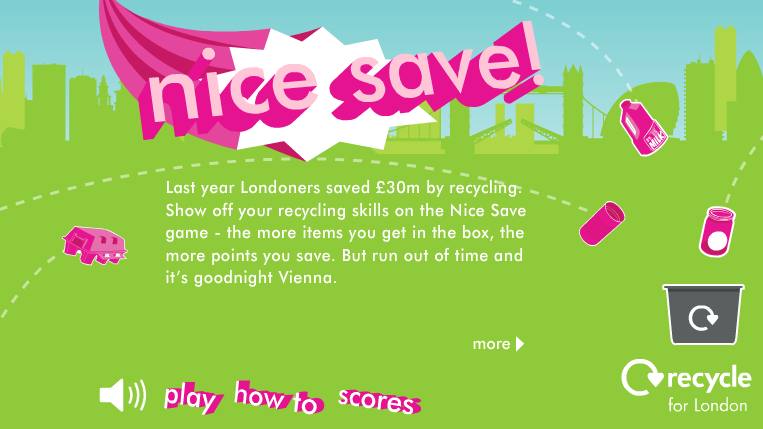 We created a game for Recycle for London as part of their existing Nice Save campaign. The campaign aimed to raise awareness of what people can recycle in their borough of London. Our “toss the trash” style game featured unlockable levels and allowed users to register, play and save their progress. There was also a high-score table which not only ranked individuals but also ranked the top London Boroughs. 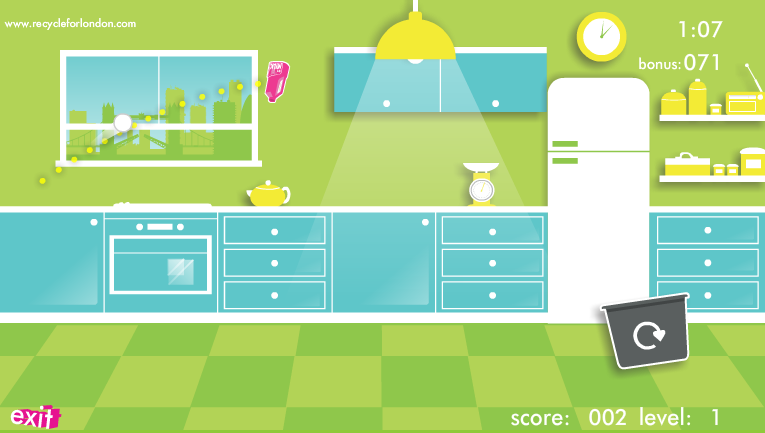 The game was featured on the home page of Recycle for London’s website and also had a Facebook app.